I've wanted to knit the Nina Shawl since I first got the Mason Dixon book. I started the shawl in July and finally finished this weekend. 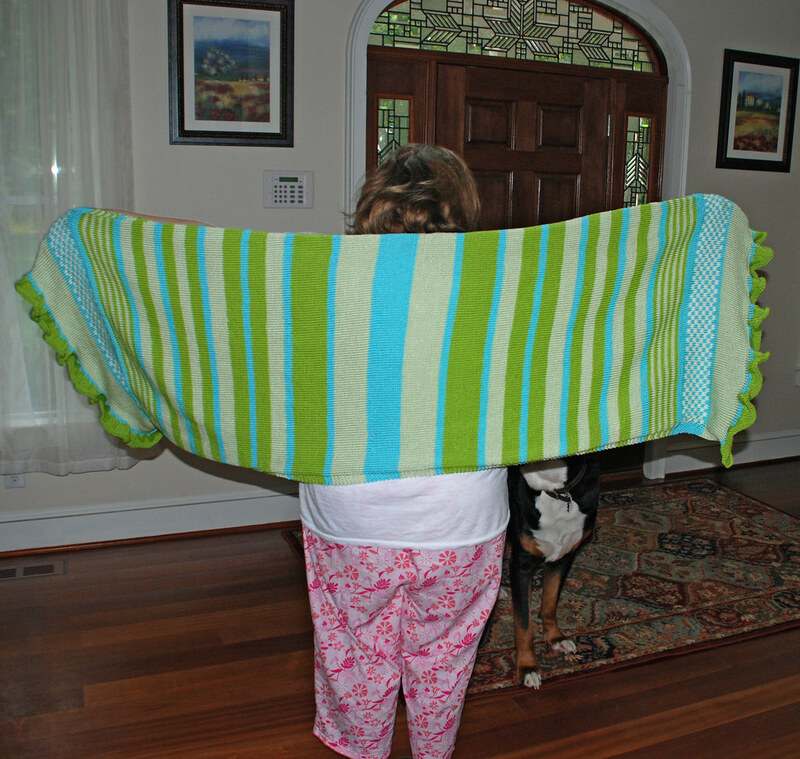 I used King Tut cotton and increased the length of the finished shawl to 68 inches by adding some additional stripes. I'm looking forward to cook weather and being able to use this shawl. there are more pictures and details on my blog. My fiancé and I just returned from a lovely vacation in western North Carolina. We stayed at a 19th-century farmhouse, and I whipped up a couple of dishrags as a thank-you gift. This one was put into service almost immediately! Here it is at last. 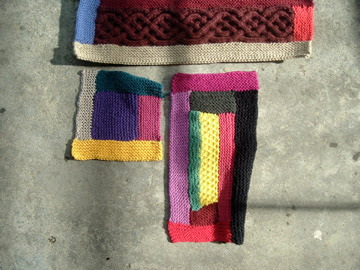 And also a few dishrags. I accidentally deleted the pictures from my last post. I thought of this as a way to take a blanket onto the TTC and work on it! For more pics, see my blog. This was done in cotton ease for a baby due in Sept. 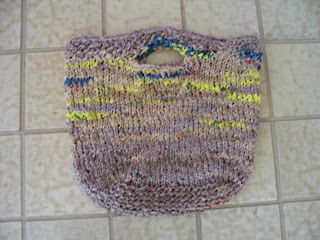 I've been busy knitting plastic grocery bags! I was inspired to make the bags after reading about calamari knitting in the Mason-Dixon Knitting book. You just need lots of those plastic bags from the grocery store. This is a great way to use up all those plastic bags that we all accumulate. 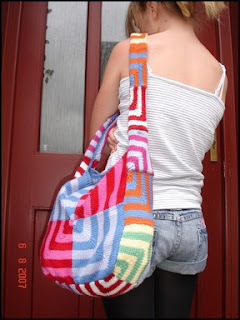 I wrote a free pattern which is actually a modified version of Maia's felted bag pattern. Please visit my blog to read more about it and get the free pattern! If you have an account on Facebook please search for a new group I’ve created called Mason Dixon Knitters. 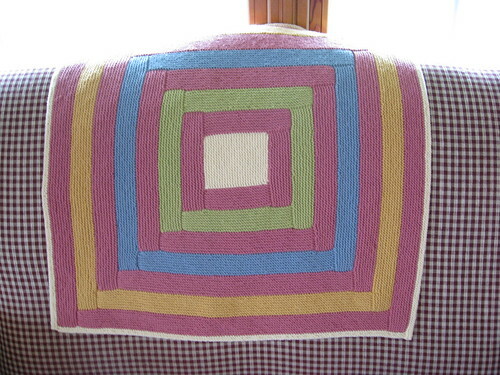 This summer, I have started another blanket in Cotton and found the original squares, along with some mini ones. Rather than waste them , I have sewn them together, used the little ones to form a strap, crocheted the edges together with a length of canvas strapping inside to give it strength et viola!!! a mitred bag! I have still to line it with some kind of funky material as it is waaaaaay too stretchy on it's own then decide what to use as fasteners but so far I am well pleased. I seem to be gathering a lot of Mason-Dixon finished articles that are not what they are meant to be but are the inspiration for other things. Has anyone made the nightie? I was wondering if it would work to knit it in the round? Or, do you think it 'needs' the side seaming for proper drape/fit? 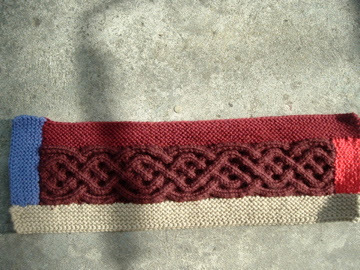 I really don't like seaming things and would like to avoid it if I can ... any thoughts?